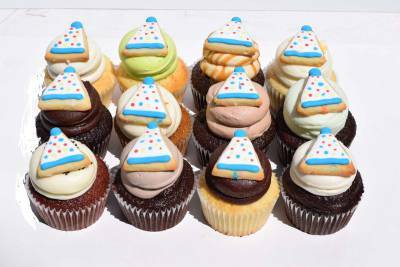 Make it a very special birthday with these super delicious cupcakes. Our gourmet cupcakes taste awesome and are the best cupcakes delivered in Toronto! 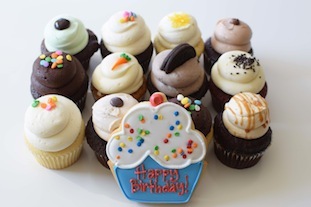 We deliver our birthday cupcake gifts all across Toronto and our regular delivery is free. We deliver to homes and offices. How sweet is that? 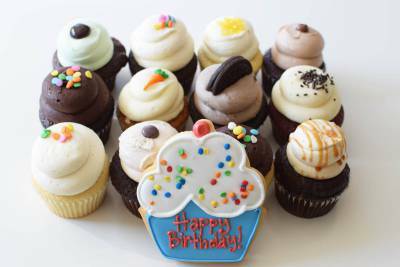 Send a uniquely delicious cupcake birthday gift today! Starting from $54.95 + HST. Click to order your gift. Starting from $59.95 + HST. Click to order your Cupcake gift. Starting from $67.95 + HST. Click to order your Cupcake gift. * Same day cupcake delivery is available if ordered before 9:45am. The 9-5 Toronto Cupcake Gift Delivery is FREE. All cupcakes are made fresh daily. Build your special gift and make someone smile by sending a Toronto Cupcake Delivery. Copyright © 2015-2019 by Cupcake Delivery.ca.